Andy Devine | 50 Westerns From The 50s. 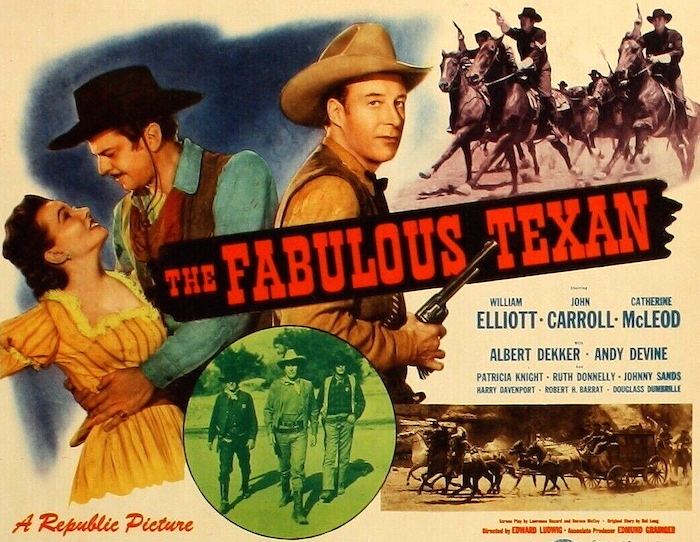 The Republic Pictures Blogathon: The Fabulous Texan (1947) By Guest Blogger Blake Lucas. This is an entry in The Republic Pictures Blogathon, a celebration of the studio’s incredible talent roster, wonderful output and lasting legacy. 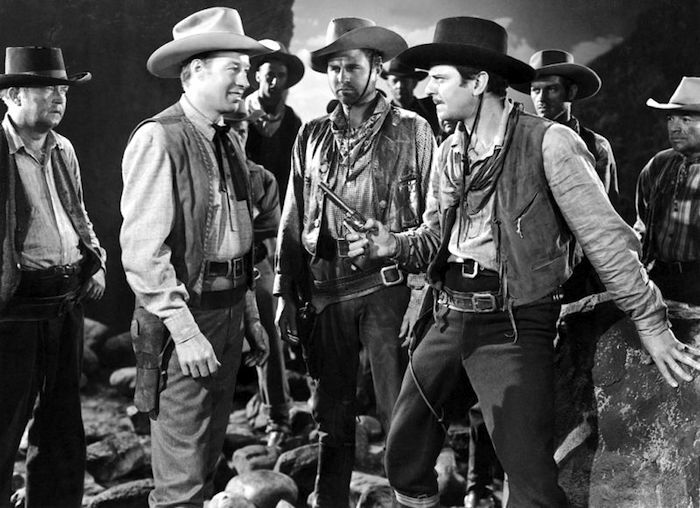 In retrospect, it is no accident that in 1946 Western series star Wild Bill Elliott was elevated to films Republic treated as their version of “A” Westerns. It was in that year that the genre rapidly attained the maturity that would fully flower in the 1950s. The end of World War II is always a key point in considering this—and indeed it resonates even within the subject of a movie like The Fabulous Texan—as the aftermath of so profound an experience was bound to deepen consideration of so many things, especially life and death conflict, and also the ebb and flow of personal relationships within a changing world, that Westerns had always enjoyed as subjects. 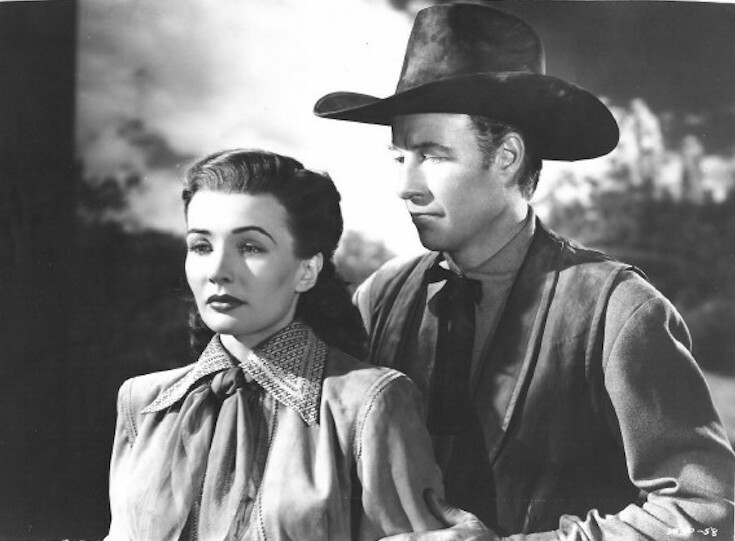 In any event, from 1946 to 1950, Elliott starred in 10 films as William Elliott, before leaving Republic and going back to his “Wild Bill” identity for more series Westerns at Allied Artists, then finishing outside the genre. These 10 movies show a poised, impressively real actor attuned to their serious subjects and though they are mostly hard to see now, it’s hoped that in time they will be better known as they deserve to be. 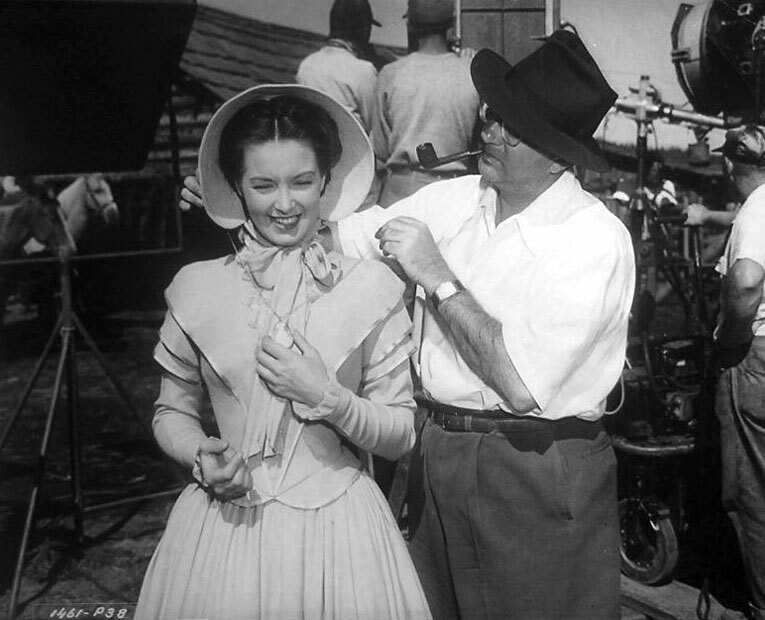 Most of them were directed by Republic mainstay Joseph Kane, a director deeply attuned to the Republic aesthetic and to Westerns (though his films outside the genre are good too) and with a strong individuality as well—he was one of the main sustaining forces at the studio until the end. 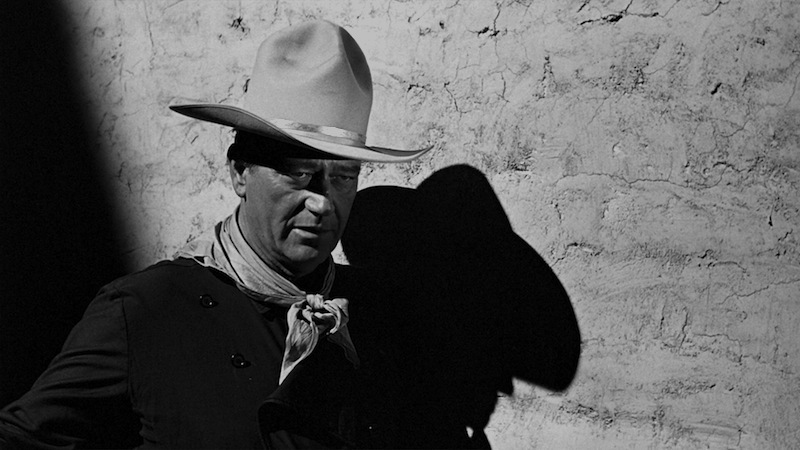 But after Kane initiated this series of Elliott Westerns, three of the ones that followed were directed by others, including the especially well-regarded Hellfire (1949, R. G. Springsteen) and The Showdown (1950; Dorrell and Stuart McGowan, who had written Hellfire). The other one is The Fabulous Texan, directed by Edward Ludwig, whose presence here is crucial to its character and about whom I will have more to say. The screenplay, by Lawrence Hazard and Horace McCoy (from a story by Hal Long) is already excellent. It beautifully follows two interwoven threads. The first is historically based, though no doubt treated with great artistic license—after the Civil War, the Texas State Police impose a cruel martial law on Texans, especially returning Confederate veterans and their families. This is a common theme in the Western throughout its great postwar years, and always the defeated are treated with the most sympathy. The present film is no exception; whatever the political realities, the main villain, Gibson Hart (Albert Dekker), uses the Texas State Police as a vehicle for his own ambition; the film invests little in him in the way of nuance, and proficiently played by Dekker in a way familiar for him, he is not one of the movie’s strengths. It is in the second thread that the movie comes fully alive, a romantic triangle involving two friends, Jim McWade (William Elliott) and Wesley Baker (John Carroll) and the woman they both love, Alice Sharp (Catherine McLeod). Jim and Wes are Confederate veterans returning home at the beginning, hoping for peace—Wes and Alice have unwisely stilled their mutual love for each other for Jim’s sake, and Jim expects to marry her. It may sound like it makes no sense for Wes and Alice to let things happen as they did, but in the telling of the story it’s all too sadly believable, and one spends most of the film watching three sympathetic people as the situation slowly evolves and the truths for each character gradually come out for them all to know. Meantime, circumstances make Wes an outlaw—he avenges the death of his father (Harry Davenport), a preacher who spoke truth to power, by killing the officer of the State Police responsible (Reed Hadley) in a compelling and beautifully staged gunfight. The place of Jim in the ensuing action is interesting, as he rides with Wes some of that time, but only against tyranny and the State Police. Unfortunately, there is a fine line for an outlaw and Wes, goaded by the darker Sam Bass (Jim Davis), finally crosses it, with tragic results. Through all this, Jim and Wes take turns protecting each other all the way through a beautiful climax, a nocturnal shootout in a misty spring that settles all accounts. Meantime, Alice evolves no less as an active character, her fate linked to theirs by her own design. And that’s followed through at the end by a coda that picks her up many years later as an elderly woman—it’s both rueful and ironic, and if not emotionally satisfying is perhaps consistent for these characters and seals the link between the relationships and the broader historical story. The central triangle is beautifully played by all three leads, especially John Carroll, arguably the standout as Wes though partly it’s because he is the most interesting character among three who are all interesting. Handsome and relaxed in his roles while able to emote with some effectiveness, Carroll had a fairly good career, much of it as a lead or second lead at Republic, without seeming to ever draw much positive attention. He may deserve better. One thinks of his modest late career triumph in Decision At Sundown (1957, directed by Budd Boetticher) in which his character Tate Kimbrough, who initially seems a simple villain, pulls himself together enough to face his adversary (Randolph Scott) on his own and gains in moral stature in the process—as a man, he turns out to be a little better than we thought he was, and I think that describes Carroll as an actor. 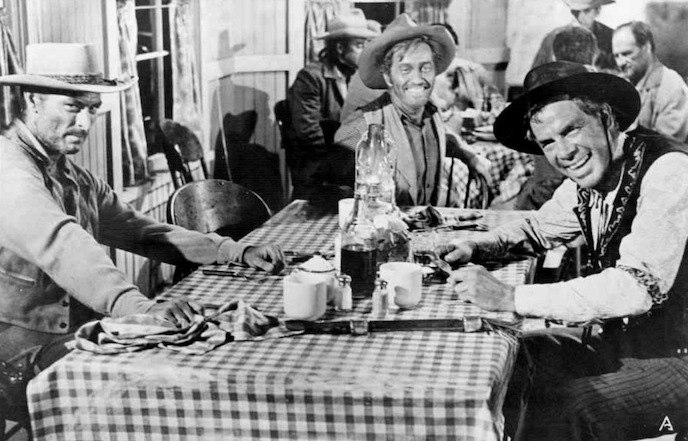 In The Fabulous Texan, there is a scene late in the film between Wes and Alice in which he winds up finally expressing all of his love for her. Done in two simple shots as he stands between her and his horse while getting ready to ride out, he contemplates the way his life has gone, how much of it he is responsible for and how much he came into it through circumstances of the time. In the first shot, straight on to the characters, he wrestles with this and it’s played beautifully as Carroll, very natural and not at all showy, evokes a lot of complex feeling without a lot of heavy drama. 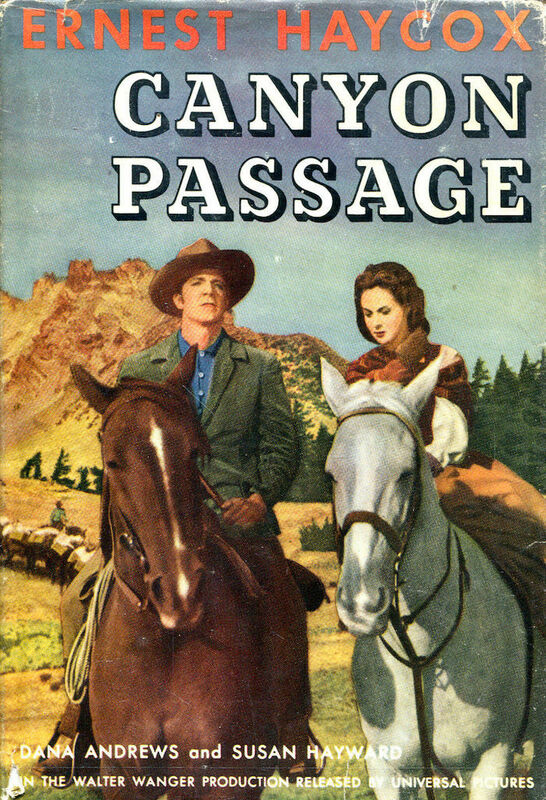 The following shot is the closer, more dramatic one as he faces away from Alice over his horse and she is behind him—and here, his desire for her is expressed and Carroll carefully allows more intensity to accompany the more dramatic visual moment. Westerns, especially Republic ones, too rarely get the credit they deserve for these moments of truth, though it seems everyone involved works hard for them. 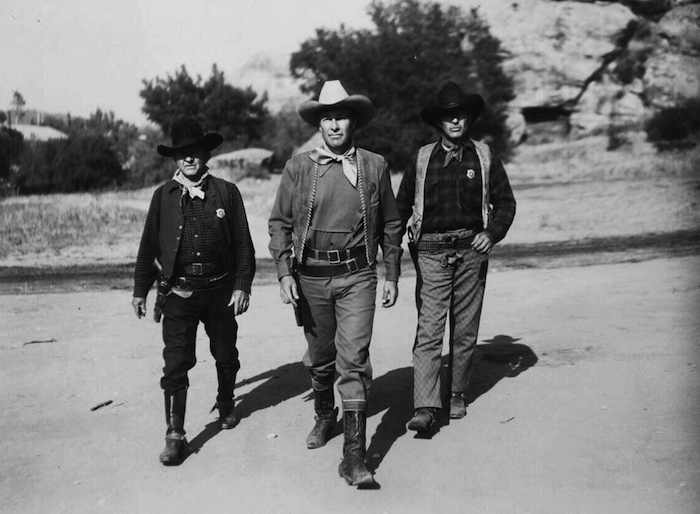 Considering the art of The Fabulous Texan, it’s really evident early in the film, even from the beginning—it’s truly poetic to see Jim and Wes riding home from the war, distant figures on a low horizon under a quiet sky of still white clouds. The image so perfectly evokes the desire of the men for a peace they are not going to know, and yet we don’t even know them yet. It is a feeling, an ambiance. By contrast, when Wes returns home with his cousins later to find his father has been murdered, Ludwig executes a powerful forward tracking shot in which the gravity of Wes’ internal change as he realizes what has happened is brilliantly underscored by interlocked movement of the men and the camera. Plainly, with so much here realized with the greatest possible effectiveness, there is a real creativity on the part of director Ludwig (not to mention one of Republic’s best cinematographers Reggie Lanning), even if efficient telling of the story is as always the main goal. Ludwig’s career, although his body of work is uneven, bears out that he was as gifted as he seems in his best films. The Russian-born director was around in Hollywood since silent days (at least to direct shorts) and gradually found his way to features but without ever having one good studio contract and a place that would nurture him—in that, he’s like many other talented directors in American cinema who moved from job to job and would do best when material and conditions stimulated them. This may have led to other good films–The Gun Hawk (1963), about a gunfighter slowly dying of a mortal wound (and made in a troubled time for American Westerns when few were being produced), is one of the finer and more haunting last films of any director. But based on his three 40s movies for Republic, beginning with The Fighting Seabees (1944) and soon continuing with The Fabulous Texan and in 1948 the awesome Wake Of The Red Witch, one wishes he had made his career at the studio. It’s especially so because of Red Witch—one of the supreme Republic adventures which merges one of its exotic dreamscapes with storytelling that movingly carries the studio’s virtues into an unexpected realm of dark romanticism (Lanning again brought his mastery of black and white to the cinematography); it might even have been surprising then, though it shouldn’t be now that we are starting to fully appreciate Republic as it deserves to be. Ludwig returned to the studio once in the 50s for Flame Of The Islands (1956), another demented melodrama though not in a way that lifts it to what those others were. It’s interesting though, that it again finds the heroine between several men (more than two in that case), something that in his three 40s Republics seemed to stimulate Ludwig, especially as none of them falls neatly in the way two of the characters in the triangle become a couple. Ludwig seems, from a dramatic point of view, to embrace the unhappiness that can reign, or at least be implied, when rightful lovers do not in the end find their way to each other, and comfortable for sympathetic main characters to die as well. That’s one more interesting aspect of The Fabulous Texan, of which there is surely much more to say. A beautiful movie and a heartfelt one, a strong story with plenty of action but one glad to take time to observe nuance in sympathetic characters, it is one of the outstanding Westerns of the late 40s. It’s also a worthy film to consider the qualities of Republic—one feels that the studio’s willingness to simply tell its stories, unpretentiously and prosaically, may have been, in the end, the way to find and fully create the deeper poetry of its cinematic world. Many thanks to Laura Grieve and John Knight for providing me with a copy of the movie to see. 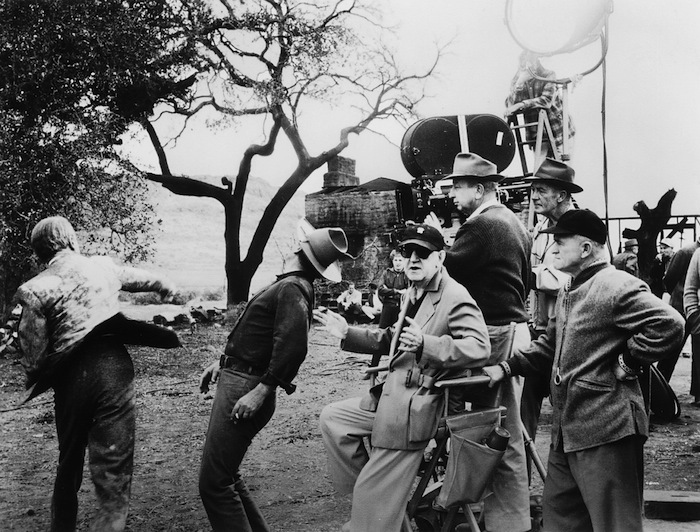 Making Movies: The Man Who Shot Liberty Valance (1962). 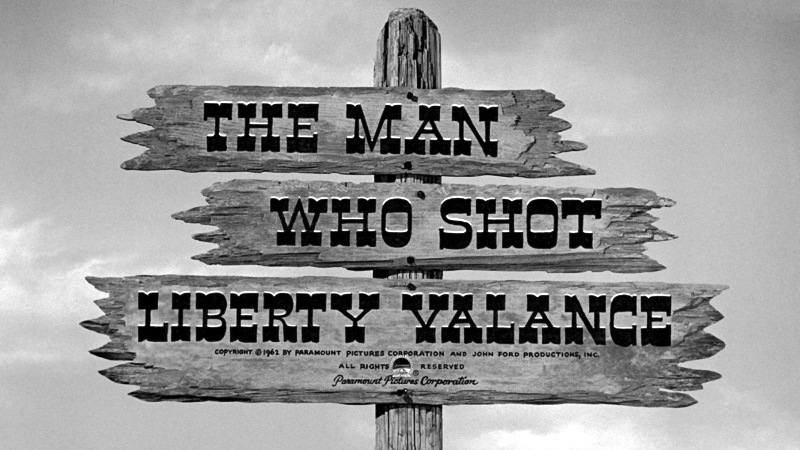 My wife and I watched John Ford’s The Man Who Shot Liberty Valance (1962) on our honeymoon. So as our anniversary rolls around, it usually comes to mind. And this seems like a good excuse to highlight yet another Ford masterpiece. 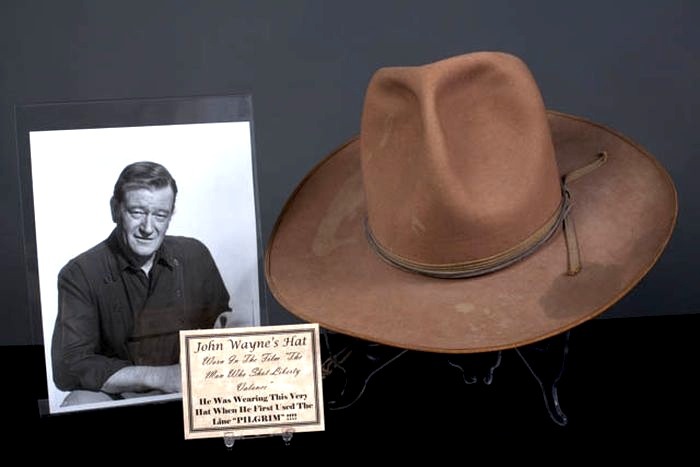 Here’s Wayne’s hat from the film. In black and white, it seems so much lighter. 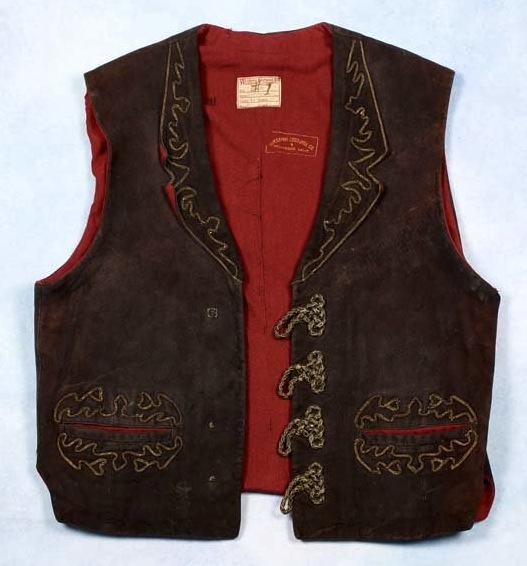 Lee Marvin’s vest. 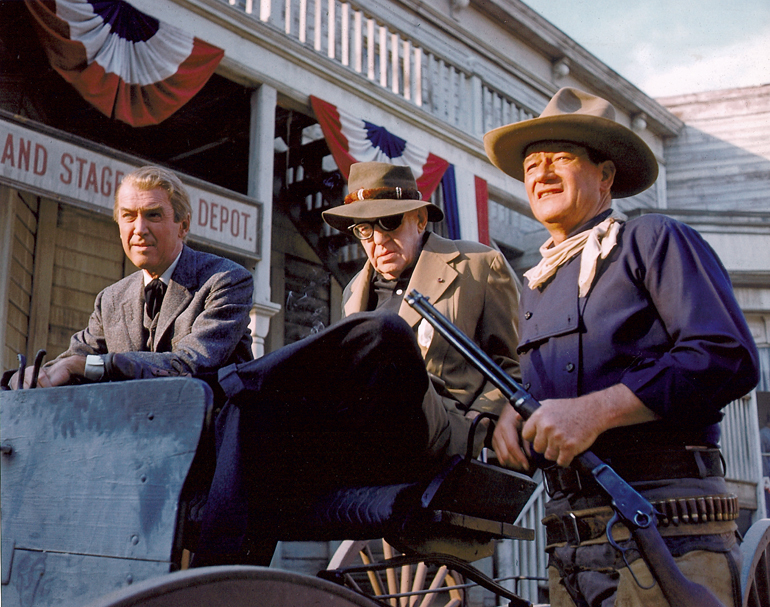 After his years doing M Squad on TV, Liberty Valance helped Marvin transition from heavy to leading roles as he returned to features. 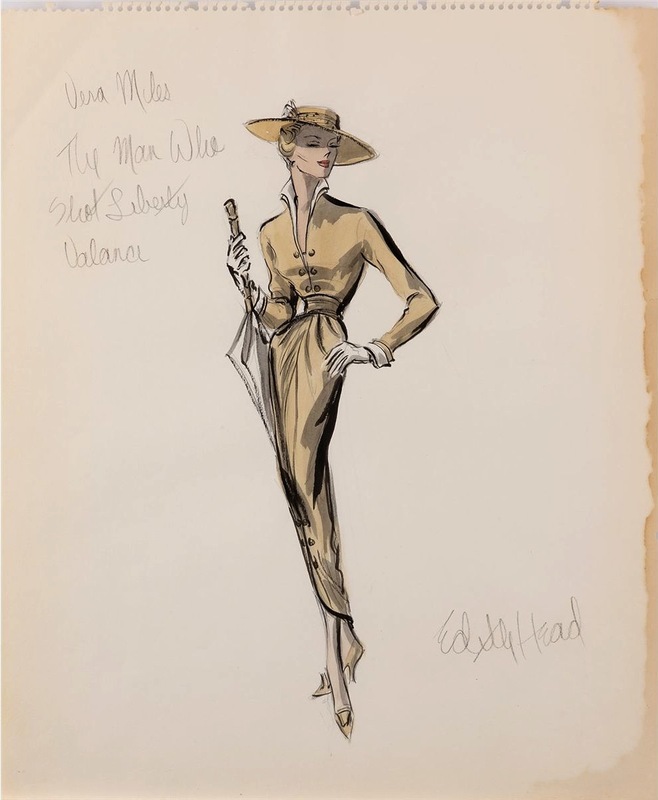 One of Edith Head’s sketches for Vera Miles’ costumes. 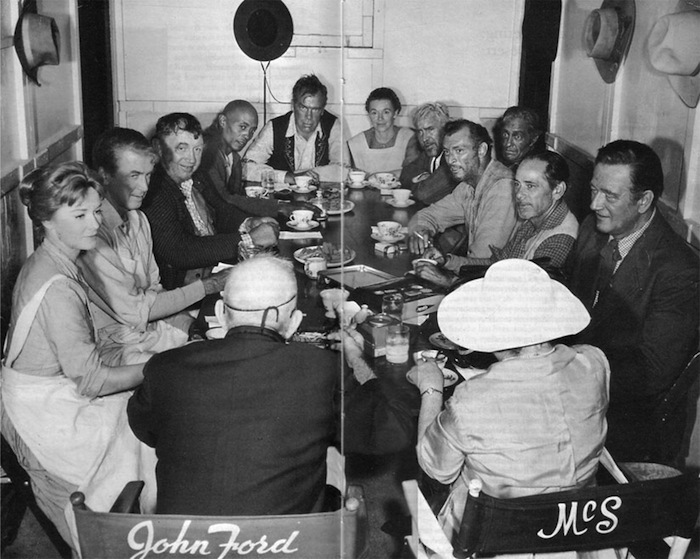 John Ford and his terrific cast break for tea. 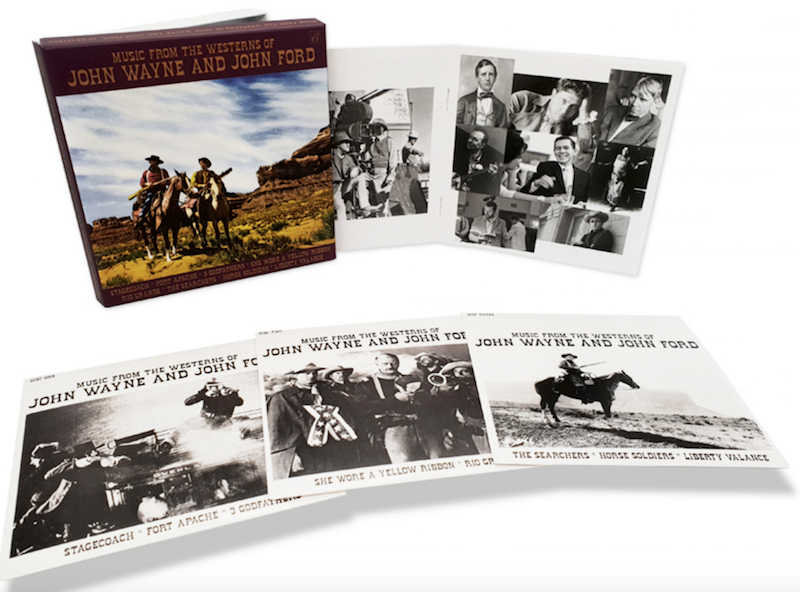 Judging from who’s present and how they’re dressed, they must’ve been shooting the dinner scene where Marvin makes Stewart drop Wayne’s steak — and Strother Martin gets kicked in the face. 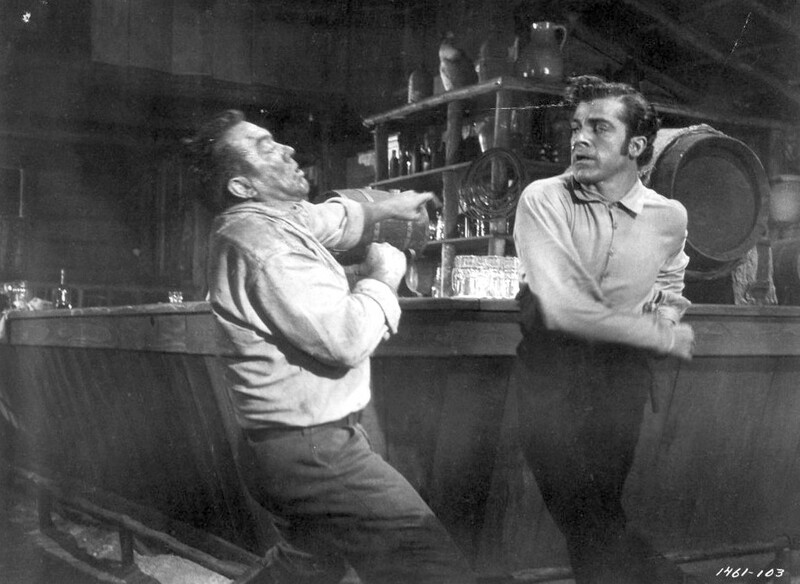 Jimmy Stewart punches John Wayne — with Ford and crew very very close. Jennifer and I often celebrate our anniversary by going out for steaks. Makes sense, doesn’t it?